What is a room without color? Don’t get me wrong, I love an all white room, but color can do so much for your child and yourself. Coming up with the right colors can be a challenge though…where to begin? Inspiration can come from anywhere, a magazine, fabric, art, a business card, a shampoo bottle (hey, a lot of thought goes into the packaging of products), just don’t overlook where your inspiration can come from. If you are struggling with finding inspiration still, take a visit to my two favorite websites to view some beautiful color palettes. 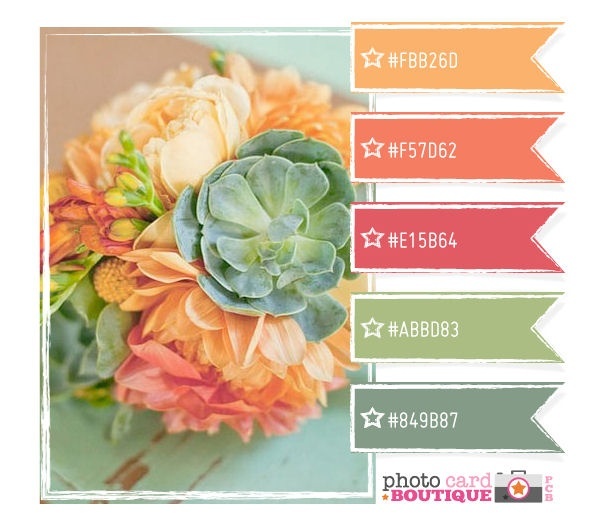 Photocard Boutique has some amazing palettes to view…you’ll get lost in all the beautiful possibilities. Another site I adore is Design Seeds. There is inspiration everywhere…where do you find your color inspiration?